This light blue fabric vintage tote has two light blue cord drawstrings on each side. 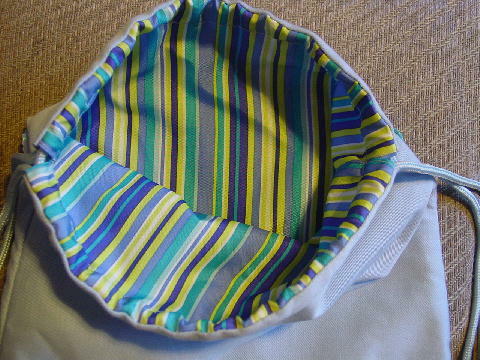 The interior lining is in a smooth thin almost canvaslike striped fabric in white, light violet, chartreuse, turquoise, and light seafoam. 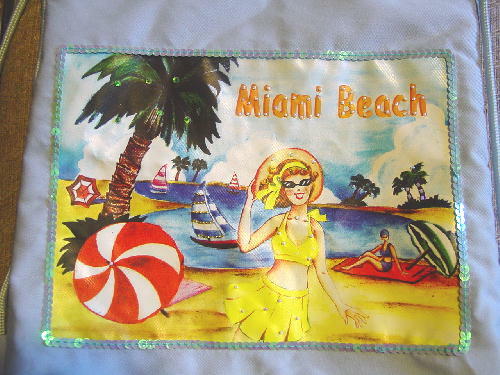 On the front is an 11 3/8" by 7 5/8" plasticized fabric rectangle outlined in iridescent blue sequins with a beach scene with sailboats, palm trees, sand, water, clouds, beach umbrellas, and sunbathers. 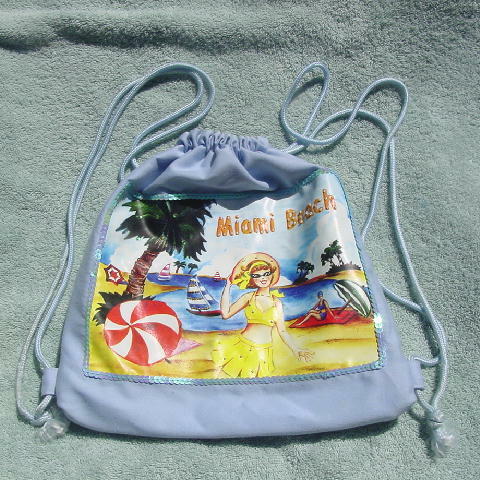 Miami Beach is in orange letters with little white bead accents which are also on palm trees and on the yellow swimsuit and hat. 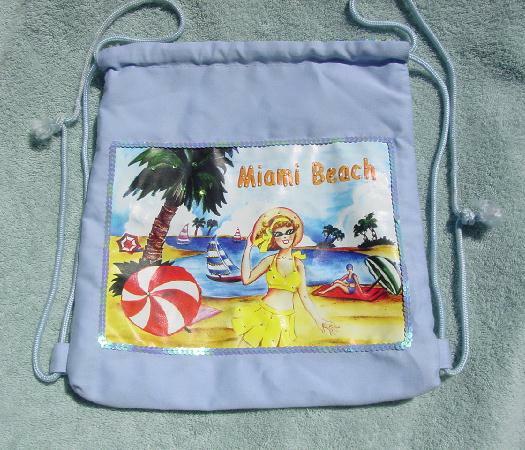 The blue sails have gold-tone little beads and the big palm tree has iridescent sequins and green beads. One of the blue cords on the left side is a little lighter in places than the other one.